Is Jesus simply a “copycat Savior”? This Bible insert will help you respond to objections Jesus was copied from prior ancient mythologies. 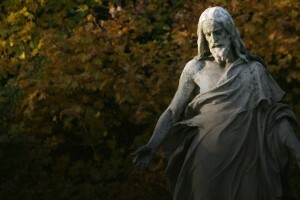 Why does Jesus resemble (even if only faintly) some of the pre-Christian mythologies from antiquity? It may come down to reasonable expectations. Is it fair to conclude that Jesus is a myth just because there may be similarities between Jesus and the ancient mythological deities that preceded Him? The more you examine the nature of the gods worshiped before Jesus, the more you will notice their dissimilarities to the historical Jesus. Is Jesus simply a retelling of the Mithras mythology? How similar is Mithras to Jesus upon close examination? Do these similarities invalidate the historicity of Jesus? Is Jesus simply a retelling of the Osiris mythology? How similar is Osiris to Jesus upon close examination? Do these similarities invalidate the historicity of Jesus? When you study the claims of those who say Jesus is similar to ancient mythological gods, you’ll discover that pre-Christian deities aren’t much like Jesus. If you’re interested in a quest for truth, it would be wise to start with the faith system best describing the man many other systems already acknowledge. How do we know that the story of Jesus wasn’t corrupted over time? What is the New Testament “Chain of Custody”? The non-canonical gospels exhibit the kind of legendary response we ought to expect if Jesus actually lived, worked miracles and rose from the dead. If we understand what motivated the authors of the late legendary stories of Jesus, we can expose the true foundations upon which their stories were crafted. The late non-canonical legends, distortions and stories about Jesus are just that: late, unreliable legends, distortions and stories. The historicity of Jesus can be defended as a cumulative circumstantial case. Like other cases I’ve worked over the years, the evidence is powerful when considered collectively. I hope these resources, as I’ve assembled and organized them here, will help you defend the truth of the Christian worldview so you can become a better Christian Case Maker.